Standard Transmission & Gear is a South Bend Clutch Master Distributor - that means full service for all your South Bend Clutch needs! 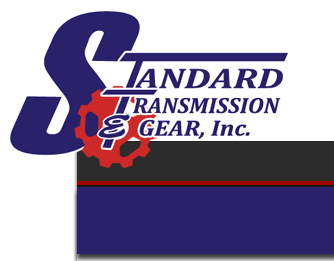 Standard Transmission & Gear is dedicated to bringing you quality products from manufacturers like South Bend Clutch whose goal is to provide a quality product that is backed by three generations of knowledge and experience. They dedicate their time to make sure you're satisfied with not only there product but service and price as well. We are a COMPLETE stocking distributor for the entire South Bend Clutch line. These are just a few of our clutch kits available for the light to medium series trucks. We have them available from stock performance to high performance. We build each clutch to fit the customer's needs using various materials such as Kevlar®, ceramic, asbestos, organic, feramic & carbotic. We can accommodate any make or model of truck available to the market whether it is used for light duty work, heavy hauling or high performance applications. Very important Please read before continuing! The MU 0090 Rally is capable of handling the horse power and torque ratings provided in our listings, but if the truck is used for heavy hauling when coupled with torque ratings exceeding 600 ft. lbs., damage to the clutch disc WILL occur. The cause and effect is the 12 1/4" disk does not provide enough dampened area to absorb the added torque of the Cummins along with heavy hauling. These two clutch kits are fine for light towing and performance. If you are going to be towing in excess of 8,000 lbs. while exceeding 600 ft. lbs. of torque, you must go with the MU 13-1.25 Con O, OFE or FE. This will offer a clutch that will handle heavy towing with vehicles equipped with the higher torque ratings. This clutch only applies to trucks with 5 speed transmissions and early 6 speeds that are not equipped with the HO engine. If a 12 1/4" clutch is purchased from us, or one of our distributors, and gets destroyed at the dampened portion of the disc, warranty will not be granted. For the application that best fits your needs please call. Diaphragm style pressure plate with light pedal pressure, 12 ceramic buttons per side of disc, 550-650 hp with ductile flywheel– not SFI approved. This Dyna Max Kit features an organic friction material comprised of 808 composite, results significantly reduced operating temperature which gives this kit ultra-smooth engagement and longer life. This kit will hold up to 350 hp & 700 ft. lbs. of torque. linings with marcelled fins. The pressure plate is modified for higher plate load and smoothness of engagement. This clutch was designed to cure premature disk failure due to high horse power and heavy hauling in the 5 speed and early 6 speed non-ETH 12 1/4" clutches. SBC have taken the 13" ETH Clutch and modified it to accept the 1 1/4"input shaft. By doing this, it enabled us to offer a disk center that is 2-3 times larger and stronger than can be provided in the 12 1/4" clutch kits. This kit comes with a flywheel, re-drilled and refaced to accept the larger clutch and is rated to handle up to 475 hp & 1000 ft. lbs. of torque. This Dyna Max kit features an organic lining on a marcelled fin. The pressure plate is modified for higher plate load and smoothness of engagement. This clutch was designed to cure premature disk failure due to high horse power and heavy hauling in the 5 speed and early 6 speed non-ETH 12 1/4" clutches. We have taken the 13" ETH clutch and modified it to accept the 1 1/4: input shaft. By doing this, it enabled us to offer a disk center that is 2-3 times larger and stronger than can be provided in the 12 1/4" clutch kits. This kit comes with a flywheel, re-drilled and refaced to accept the larger clutch and is rated to handle up to 400 horsepower & 800 ft. lbs. torque. 2000.5-2005.5 ETH with NV5600 trans for HO engine Single disc for 375 hp, 800 ft. lbs. torque. This Dyna Max kit features a performance organic lining on a marcelled fin. The pressure plate is modified for higher plate load and smoothness of engagement. This clutch is best suited for towing purposes. This kit is rated up to 350 hp & 750 ft. lbs. of torque. This Dyna Max kit features a variation from organic to organic and feramic or all feramic linings with marcelled fins. This pressure plate has been modified for higher plate load and smoothness of engagement. This kit will accept the 1 3/8" input shaft to allow you to convert from 5 speed to 6 speed transmission without having to purchase the 6 sp flywheel. This kit will ranged in holding power, depending on the configuration, from stock horsepower to 550 hp & related torque as well. This Dyna Max kit features a variation from organic to organic and feramic or all feramic linings with marcelled fins. This pressure plate has been modified for higher plate load and smoothness of engagement. This kit will accept the 1 3/8" input shaft to allow you to convert from 5 speed to 6 speed transmission without having to purchase the 6sp flywheel. This kit will ranged in holding power, depending on the configuration, from stock horsepower to 550 hp & related torque as well.